New Peruvian is an independent travel guide to Peru aimed primarily at independent travelers. Its main reason for existing is to help you get the most out of your trip to Peru, be it for five days or five months. You’ll find detailed city guides, practical travel tips, and information about Peruvian food, culture and more. It’s also here to inspire. The feature articles and photo stories will hopefully give you that final push to buy a plane ticket and fly out to explore what is undoubtedly one of the most fascinating countries in South America. My name is Tony Dunnell, I’m an English freelance writer living in Peru (in Tarapoto, to be precise) since 2009. Before that, I’d spent six months traveling in Brazil followed by one year traveling from the southern tip of Argentina to the beautiful north coast of Colombia — and almost everywhere in between. My travel writing has appeared in well-respected magazines like International Living and Crave (Hong Kong), as well as on websites such as VICE, Atlas Obscura, Paste Magazine and The Latin Kitchen. I was also the Peru Travel Expert for About.com between 2011 and 2016. And before moving on to create New Peruvian, I also built the popular Peru backpacking blog, HowtoPeru.com. You can see my writer portfolio at tonydunnell.com. 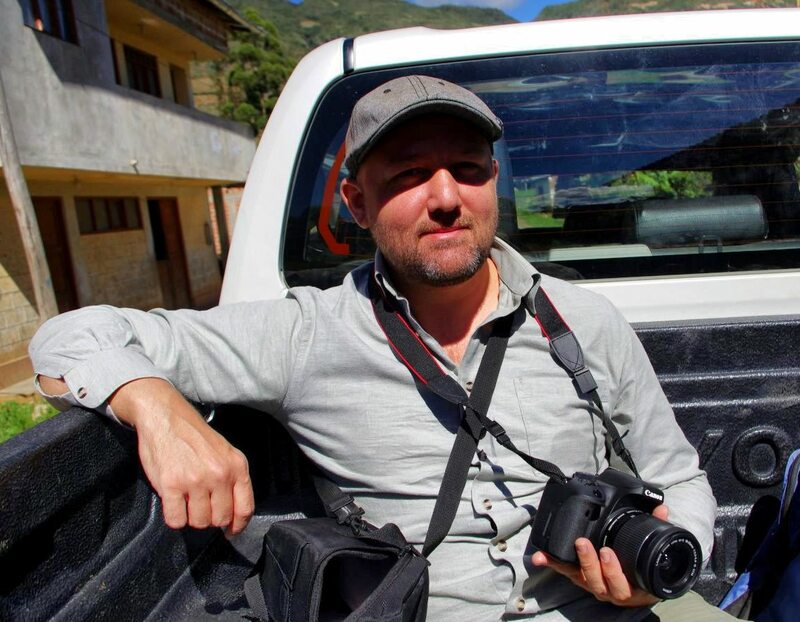 Travel writer Tony Dunnell in the back of a truck near Chachapoyas, Peru in 2017.